And since most of you don't celebrate it at all unlike the U.K. (and elsewhere in the world like Canada, Australia, South Africa, other Commonwealth nations and more), you're missing out on another day off and the chance to have Christmas Day all over again (without all the presents though). 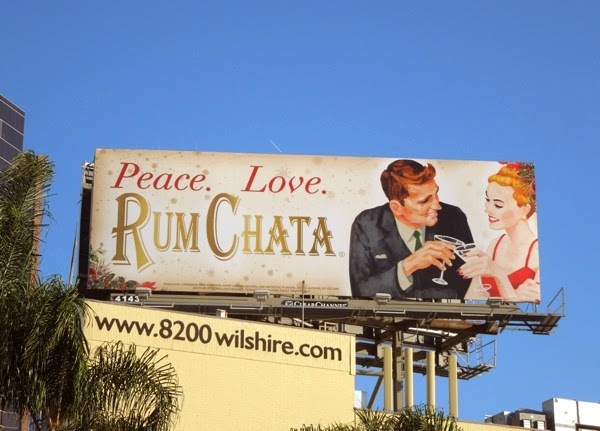 So enjoy this Peace and Love billboard from Rum Chata which has that retro festive feel about it to help keep the holiday spirit alive for another day (and hopefully you've not all abandoned your Christmas trees outside in the gutter already). 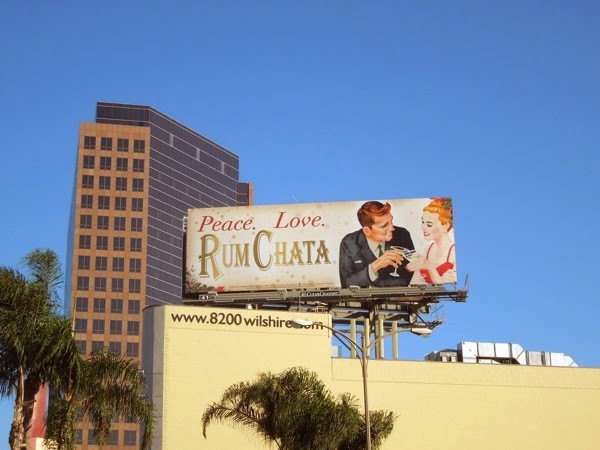 So whether you'll be raising a cocktail glass to the holiday season or be toasting the New Year with this Horchata cream liqueur drink with its subtle rum flavour, enjoy being fabulous like this glamorous couple. 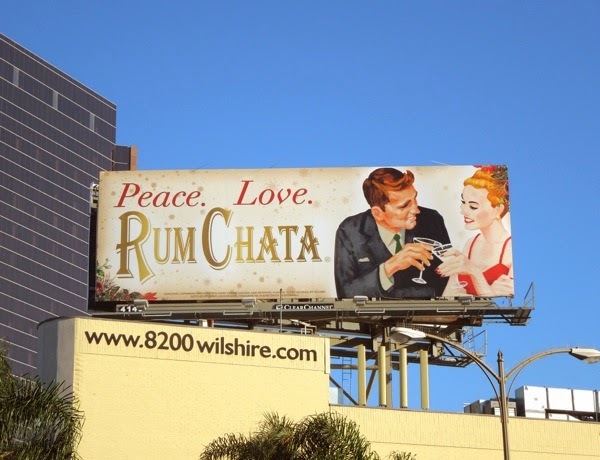 Cheers to peace, love and happiness. 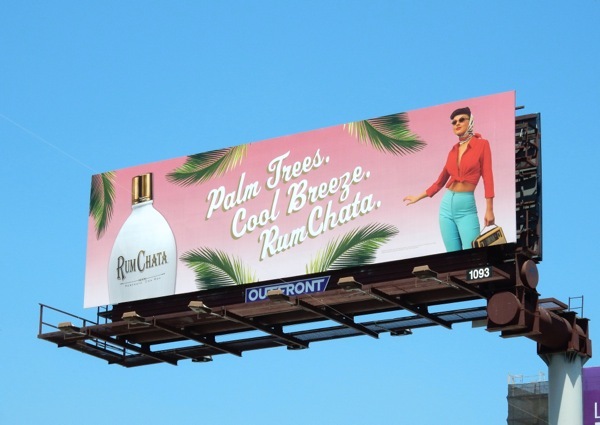 UPDATED: If you liked the festive ad for Rum Chata, then you'll love the equally retro feel of this summertime billboard for the liqueur. 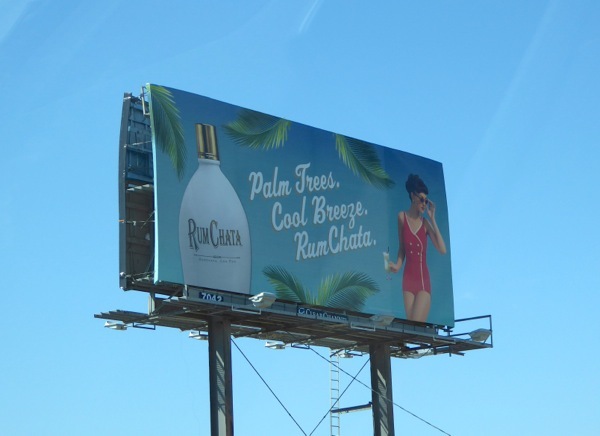 'Palm trees, cool breeze, Rum Chata', this summery slogan and creative makes Daily Billboard think of lounging by the swimming pool with a cocktail in Palm Springs. 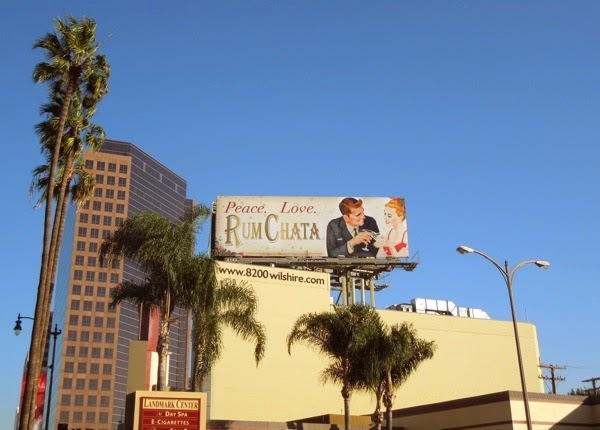 This fun billboard was spotted high over Cahuenga Boulevard in Hollywood on August 7, 2015. 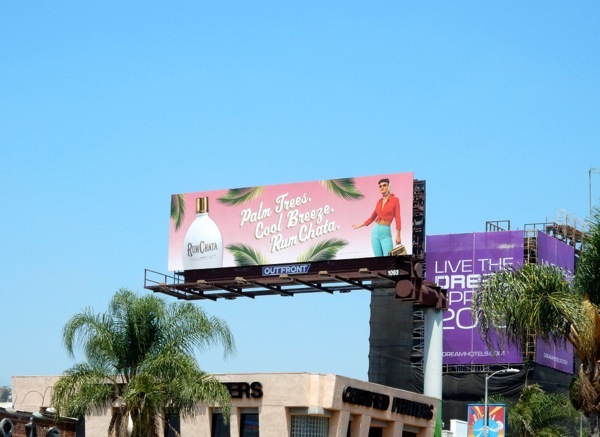 UPDATED: Here's another version of the pink billboard and this blue creative was spotted speeding past on the I-5 freeway on August 14, 2015.